We wash our make-up brushes after we've used them so why not our hair brushes? 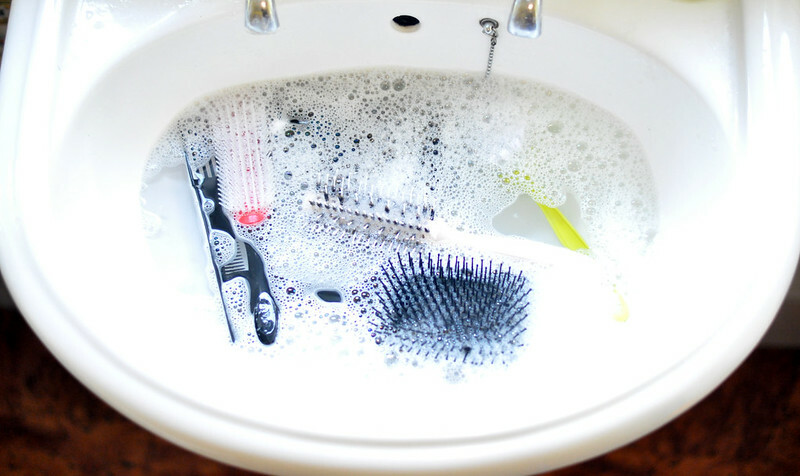 After a browse through The Beauty Department, my go to website for all things to do with hair, I came across Kristin's post about cleaning our hair brushes to prevent build up and keep our hair feeling and looking cleaner. I regularly de-hair (is there a better word or phrase?) my brushes to keep them looking better and in good condition but I never thought to actually wash them, especially with a shampoo. Now that I think about it, certain brushes of mine do come into contact with a lot of product either to brush out the dry shampoo I've just applied or I spray hairspray onto them to tame fly aways and this can only lead to build up of product, just like my own hair. So earlier on I took on the task of giving them a bath. Now don't think of this as a daunting task or chore like washing make-up brushes is, this literally took me five minutes. 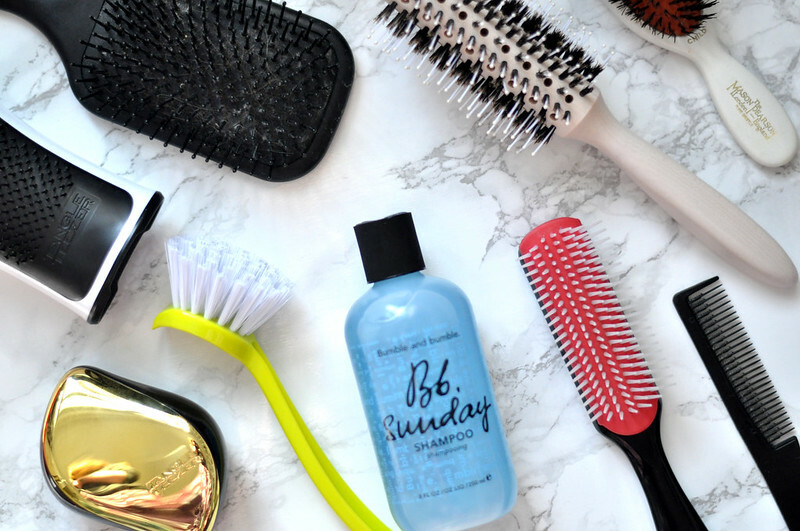 Kristin's post has a complete step by step but simply add a little bit of claryfying shampoo to warm water, I used Bumble And Bumble Sunday Shampoo, and let your brushes sit for five minutes. Once time is up give them a gentle scrub with a pan brush and rinse with cold water. Depending on how much time you have you can either leave them to dry in the sun or give them a blast with a hair dryer. I did a bit of both as it was nice and sunny but I gave them a blow dry to get rid of the majority of the water.